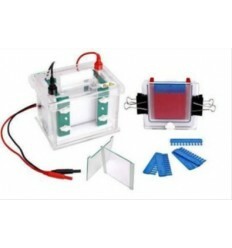 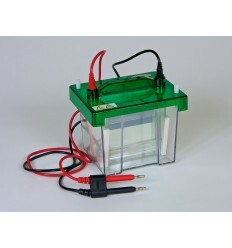 Fast protein electrophoresis in a mini gel electrophoresis format for SDS PAGE and neutral PAGE. 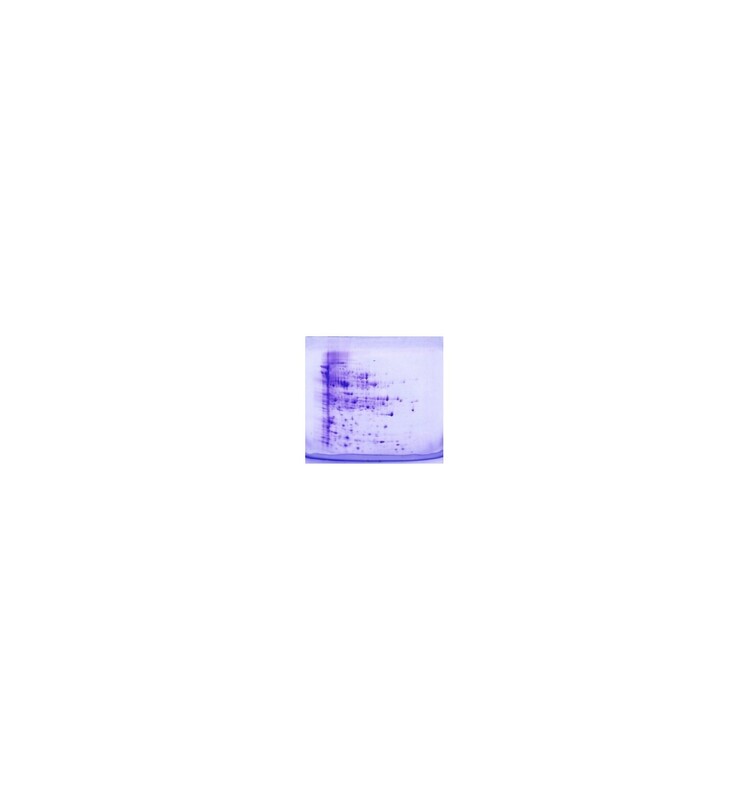 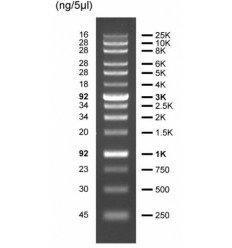 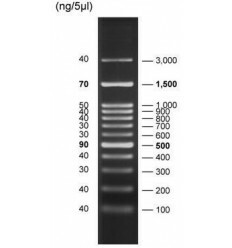 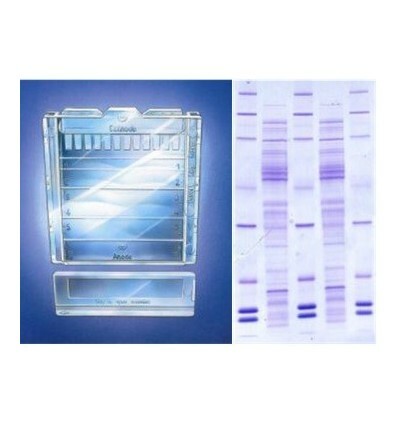 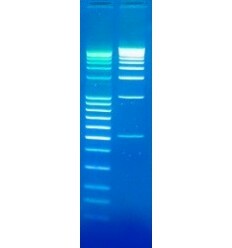 Electrophoresis and western blotting can be performed with your usual buffer systems without any limitation. 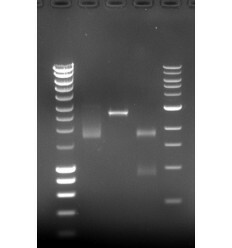 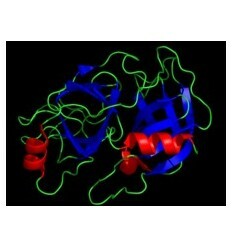 Gels are cast in a neutral pH Tris/Glycine buffer. 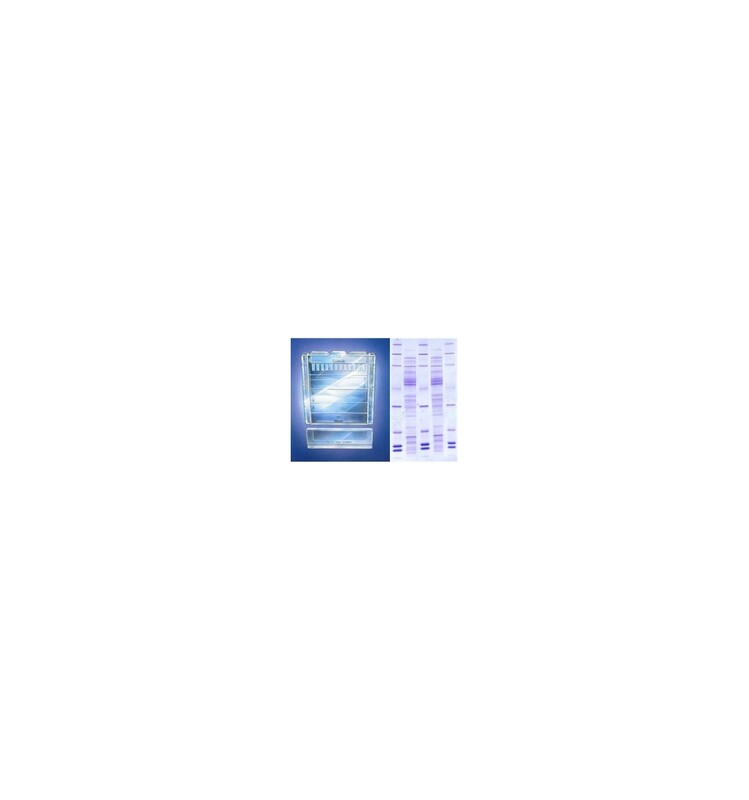 For more details see "Downloads"